Rock Fit released their new video describing its business and best industry practices on fitness and health recently. Our mission is to revolutionize the way our clients eat, sleep, train, and live in order to transform their bodies from the inside-out. Rock Fit released a new video describing its business and best industry practices on fitness and health recently. The video is meant to describe the business and industry best practices for Personal Trainer in Vienna, VA and Personal Trainer in Reston, VA.
Rock Fit is designed to help people achieve the body they ultimately want, so that they can look good and feel better. Rock Fit does that by providing a combination of personal training as well as individualized wellness coaching to help support lifestyle not just in the studio where clients train but also at home in their daily life, or on travel or vacation. For people are truly serious about achieving significant health and fitness results, and getting the body they have always desired, then Rock Fit is the only solution. Rock Fit is the only personal training company around that 100% guarantees your results. They offer complete small group, private, and in-home personal training programs that focus on fat-loss, strength, and total body wellness. Rock Fit transforms the body by changing the way clients Eat, Sleep, Train, and Live. 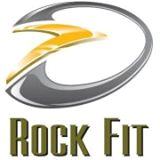 Call Rock Fit now at phone number (703) 431-0442 or visit them at their website at http://www.rock-fit.com/.